remind us of days-gone-by – of sweet grandmothers, of a rustic life. 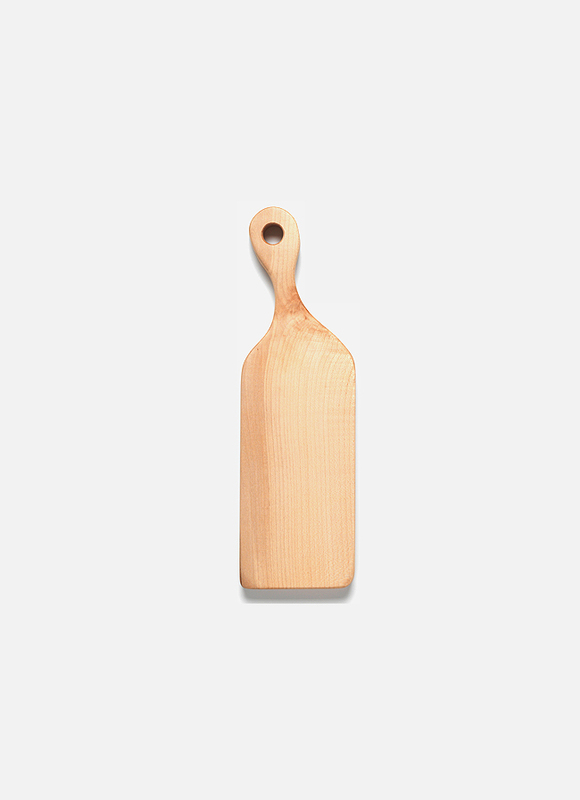 A tag is provided with each handmade board, telling you where your piece once stood – a provenance we deserve to know! Dimensions (approx): 380 x 120 x 28mm. 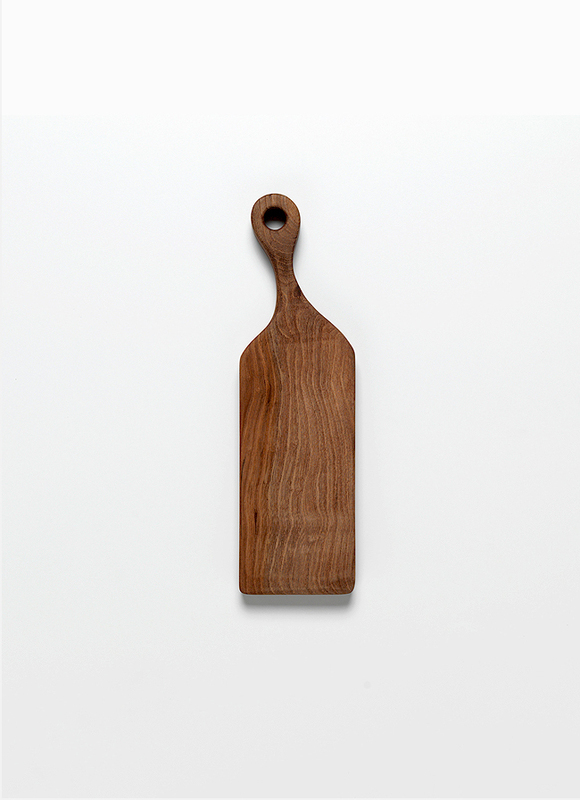 The pale, hard lustre and subtle chunkiness of the Sycamore Board make for a beautiful backdrop for serving cheese or meats. “At Hampson Woods, we design and produce wooden products from our workshop in Hackney, east London. We are inspired by the grace and beauty of timber; and produce pieces that retain a simple and timeless elegance. Products that will last a lifetime, or longer. We ensure that our work is pleasing to the hand, and to the eye – a pleasure to make, and a pleasure for you to use. Our approach to small-batch production is patient and considered; and we are equally careful with our sourcing of material – quite simply, no timber is worked unless its provenance is known. We source from a carefully selected merchant who we work with on account of their traditional and sustainable approach. We also source from arborists in and around London who specialise in clearing the fallen giants of this city. This ensures an ethically-sound supply chain – and happily, means everyone from forester to finisher cares enough to know where each piece once had its roots. Information that is proudly passed on to every customer, with every product we make.